As city government leaders continue the debate for Houston’s future growth and development, many residents have lots of questions for how these changes will affect their area. The first major move to address those issues is likely to come to a City Council vote on April 24th… an expansion and re-vamp of Houston’s Chapter 42 ordinance. 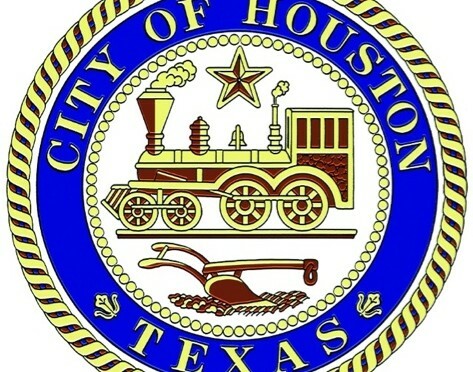 After addressing some of my concerns in this previous post regarding Chapter 42, here’s a response from Brian Crimmins, Chief-of-Staff for the City of Houston Planning Department. The City and the Houston Super Neighborhood Alliance (SNA) are almost to a final agreement on the SNA Top Ten Concerns related to development. Most of these items are outside Chapter 42, so the City has been working outside of the Chapter 42 amendment process to address them. The main outstanding item is related to drainage – specifically, grandfathering of drainage and drainage requirements for parcels less than 15,000 SF. CM Costello’s office has been taking the lead on the issue of drainage. Chapter 42 and the Construction Code were both amended in late 2011 to establish buffering requirements when a development is proposed that is over 75 feet in height, is located along a local or collector street, and abuts single-family residential. This was in response to the “Ashby High-rise” project. You can find out more about the Residential Buffering Ordinance here. The amendments to Chapter 42 would actually encourage more single-family residential in areas outside Loop 610. The current “urban rules” deal primarily with the density of single-family residential and have no impact on the location of high-rise or multi-family residential. Multi-family can currently build anywhere in the city – both inside and outside of Loop 610 – under the same rules and standards. When people talk about “high-density” related to Chapter 42, most do not realize that it is helping to make single-family a more attractive option than multi-family. Yes, housing prices in some “popular” areas have increased, however many areas in the city (including areas within the loop) remain affordable to a wide range of residents. The Chapter 42 amendments will create more flexible options for housing products moving forward, and therefore create more flexible home prices across the board. At the end of the day, however, home prices will continue to be market driven – hot spots will continue to see increases or remain higher than other areas of the city. We have worked with the Department of Public Works & Engineering, as well as the Houston Fire Department to establish the new rules. They are a great improvement to safety and design standards over existing standards. How will the following issues be addressed in Mayor Parker’s plans for the new (and I assume, updated) ordinance? Q: Building materials. I am particularly concerned that there seems to be lots of “cheap” construction being built inside the loop… wood-frame housing, construction that cuts corners and doesn’t plan for the future of the area. I haven’t done any formal comparisons, but I have encountered much construction that seems to be “sub-par”. Does the newer version of Chapter 42 address this? A: Chapter 42 does not regulate the construction material for buildings, rather it focuses on how land can be subdivided and assembled for future development. 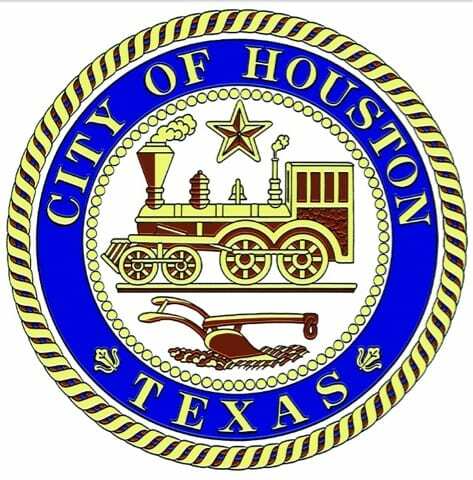 These requirements are found in documents established by national or international organizations that have been adopted by the City of Houston. The most recognizable of these is the 2006 International Building Code and 2006 International Residential Code published by the International Code Council. Other codes we use include the 2006 International Fire Code, 2006 Uniform Mechanical Code, 2006 Uniform Plumbing Code, 2011 National Electrical Code, and the 2009 International Energy Conservation Code. The City has adopted amendments to these documents that can be found here. Each of these standards is reviewed by the Department of Public Works & Engineering and will not be changed as part of the Chapter 42 process. If you notice a development being constructed with what appears to be “sub-par” construction methods, please report the project to 311 and the City will send an inspector out as needed. Q: Sidewalks and street maintenance. Of course, this is a continuing issue within Houston, simply because our streets are just not uniform. I do see that Chapter 42 addresses streets to plan for pedestrian needs, but even it doesn’t go so far as to mandate how these sidewalks are structured with regard to existing utility poles, meters, and any other existing impediments. I’ve seen many shortcuts around this as well (thinking more about an area like EaDo which is building many townhomes brand new from formerly vacant lots). How is the ordinance improved to consider this? A: Chapter 42 does not regulate the construction and/or maintenance of sidewalks or streets. The ordinance does make reference to sidewalks for certain “performance standards” to get automatic reductions to the typical requirements; however it is the Public Works & Engineering Infrastructure Design Manual (IDM) that formally sets the criteria for public infrastructure in the city. With the Chapter 42 amendments we will be requiring that new single-family residential development be required to provide an existing conditions survey at the subdivision plat stage. This survey will detail conditions in the right of way and help the City identify potential concerns earlier in the process. With respect to the utility poles, meters, and other impediments that might be added later, we are working on a couple different avenues. First, the City is drafting an agreement with CenterPoint on collaboration in a number of areas including a 50 year plan to bury overhead power lines. We are in the process of developing an Inter-local Agreement that will be brought to a Council Committee in the 2nd quarter. Also, a Planning Commission committee is reviewing the location and design criteria for group mail boxes and group meter boards. They will develop an appropriate strategy, i.e. amend rules or education by June 2013. First of all, I want to take the opportunity to thank Justin Concepcion, Social Media Coordinator for the Mayor’s Office, and Mr. Crimmins for the detailed response. It is always helpful to hear the city’s perspective and get clarity on the situation with the ordinance. The response also helps to provide a better understanding of exactly what is in the scope of Chapter 42. It is certainly not a “zoning” ordinance in the traditional sense of the word, but given the long history of how Houston has managed to avoid so many of these issues, it seems like a step in the right direction. It’s also helpful to see Chapter 42 in the context of more comprehensive plans to tackle a legacy of “anything goes” development culture. I suppose you have to start somewhere.